It’s time to ask yourself: is your office lifestyle sustainable? There are simple changes you can make without drastically altering your space or work style. 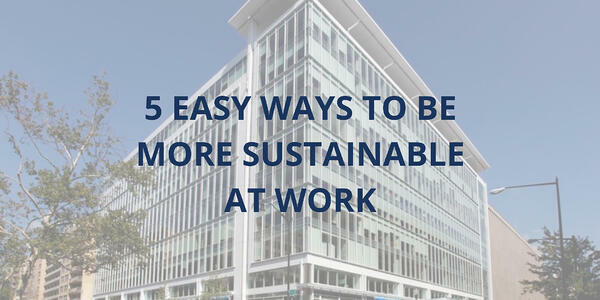 Here are five tips to start reducing waste and being environmentally conscious in the office! 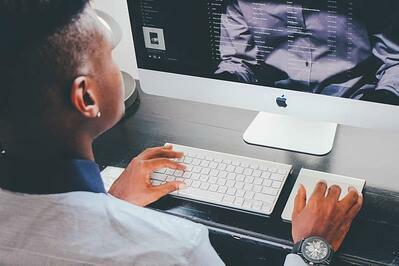 The more work you can do online, the better. Doing work digitally reduces paper and waste. Sites like Hello Sign make signing documents and contracts easy. Uploading files for signatures online streamlines the process- plus, that paper you need to be signed ASAP won’t get lost in pile on someone’s desk. Ditch the file cabinet for good. Use a service like Dropbox or Google Drive to keep your files secure and in the same place. The interfaces are easy to use and the search feature is way better than sorting through a hundred papers to find the one you need. Think twice before throwing items into the trash can. First, think if an item can be reused. Old papers make for great scraps to jot notes down on. Outdated electronics can be donated. Save that Amazon box for the next time you need to ship something. Once you approach an item from a different angle, there’s no telling what you can do with it. If something cannot be reused, recycling is the next best option. Make sure to check labels and sort your items properly. Keep a recycling bin at your desk so there is no temptation to throw everything into the trash. If you have to purchase new products for your office space, ensure that they are made of clean, recycled, or biodegradable materials. You can buy plastic-free pens and notebooks made out of recycled paper. When cleaning your space, use earth-friendly products, such as those from Mrs. Meyers Clean Day. The most sustainable choices are the ones you will stick with. Make it a habit of turning off your light every time you leave your office. Pack lunch in reusable containers instead of plastic bags. Small shifts can have a huge impact. Start with one change and build on it. Before you know it, it will be second nature to leave less of a carbon footprint at work. Make sure your workspace is aligned with your sustainability goals. The building should be LEED-certified and offer recycling options. 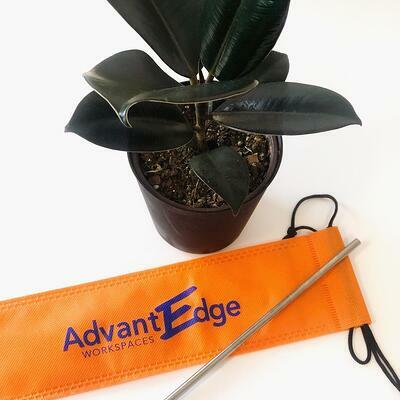 At AdvantEdge Workspace, many of our practices are sustainable. Our shared services, such as the printing room, help reduce individual waste. The lounge areas have plates, bowls, and utensils so you’ll never have to reach for single-use plastic to eat lunch. We provide office furniture to every client, which cuts down on the unnecessary waste of purchasing and moving new pieces. 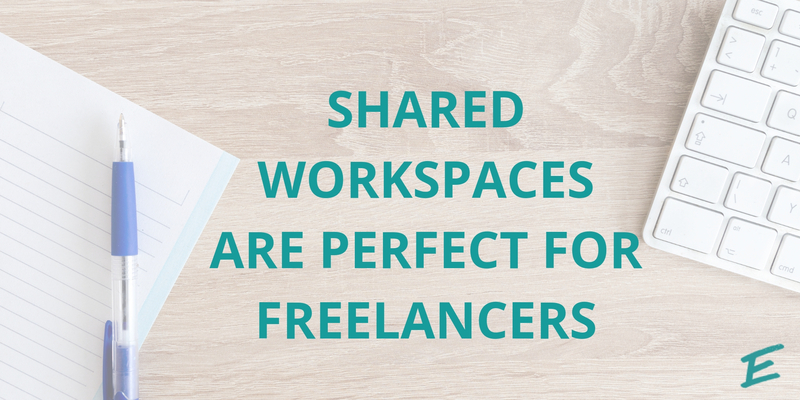 A shared workspace equals shared resources, which is a sustainability practice in of itself. Instead of clients buying their own printer or coffee machine, we provide communal ones for everyone’s enjoyment. When thinking about being more sustainable at the office, think about shared workspaces. 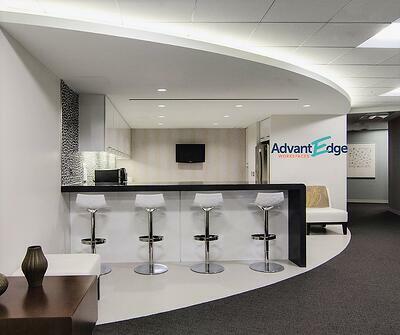 Visit our two LEED-certified locations today to see how AdvantEdge can be the perfect fit for you!